Malaria, one of the most deadly diseases of our time, affects more than 200 million people across the globe and is responsible for about one million deaths annually. Besides Plasmodium falciparum which is the main cause for malarial infection in human beings, Plasmodium knowlesi from Malaysia also remains as the most virulent parasite spreading fast not only in Malaysia but also in different parts of the world. Global malaria eradication program by use of insecticide spraying has resulted in good response in the past. Treatment of malaria-infected patients with antimalarial drugs has helped to eliminate malarial infections successfully, but with increased resistance displayed by malarial parasites to these drugs, there is resurgence of malaria caused both by drug resistance and by infection caused by new malarial species like Plasmodium knowlesi. Recent advances on molecular studies on malarial parasites reveal that the pineal hormone melatonin acts as a cue for growth and development of Plasmodium falciparum. Same may be true for Plasmodium knowlesi also. 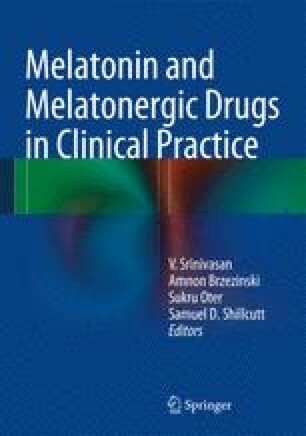 Hence, treatment modalities that can effectively block the action of melatonin on Plasmodium species during nighttime by way of using either bright light therapy or use of melatonin receptor blocking can be considered as useful approaches for eliminating malarial infection in man.